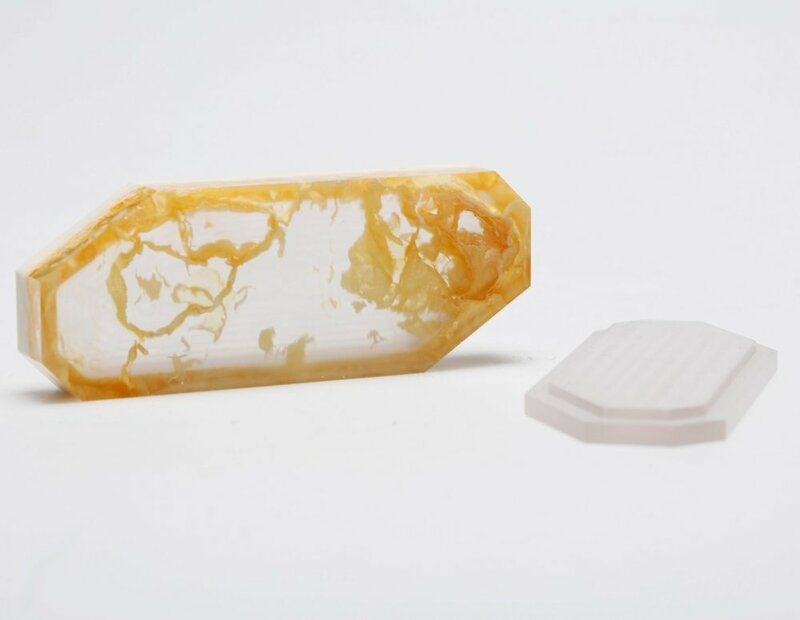 Exploring our relationship with natural and manmade materials, Jie started a project called Living in the Anthropocene. 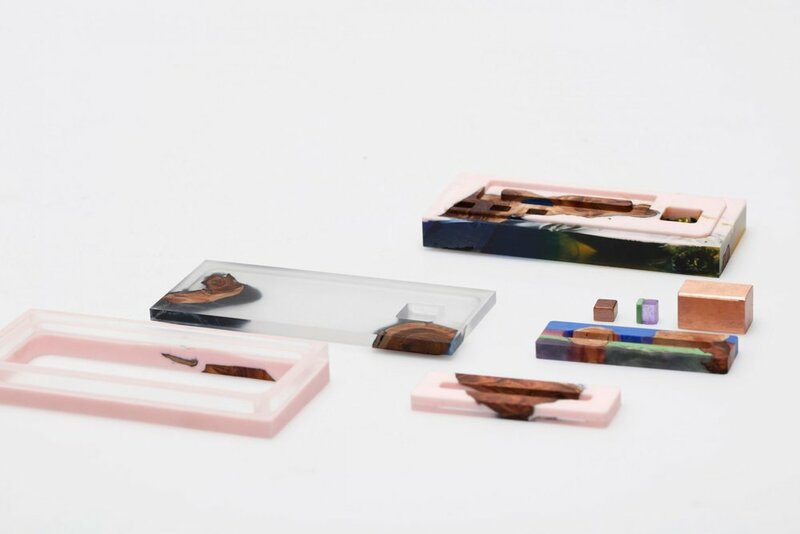 The designer's quest for material representation resulted in 17 miniature storage boxes with colorful marble-like patterns, made of resin and wood. 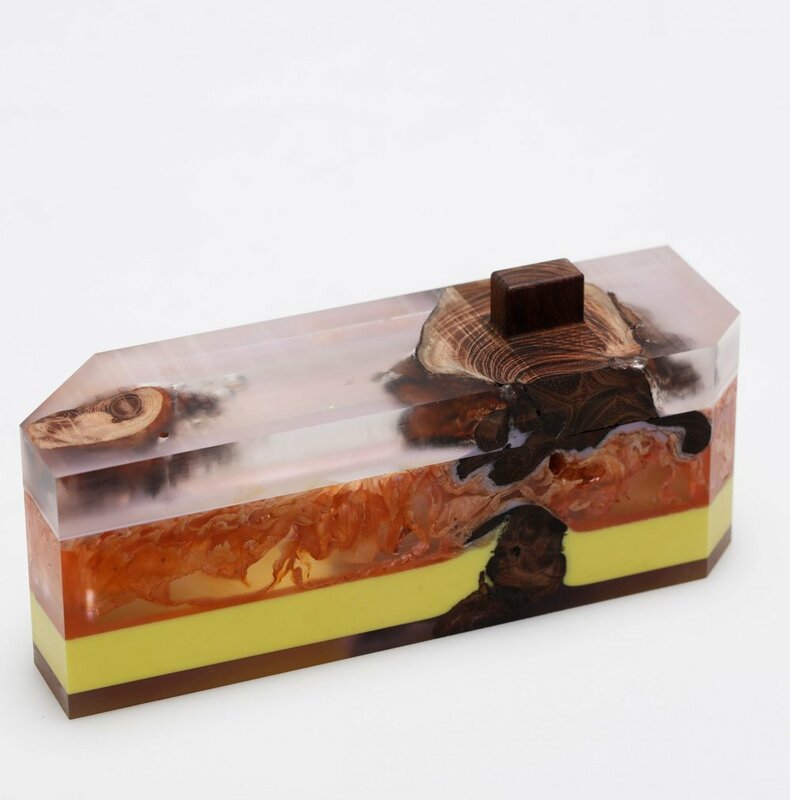 Watching her father working with antiques with such care and respect, Jie Wu set an ambitious goal for her creative practice--to elevate our perceptions of synthetic materials and its potential. 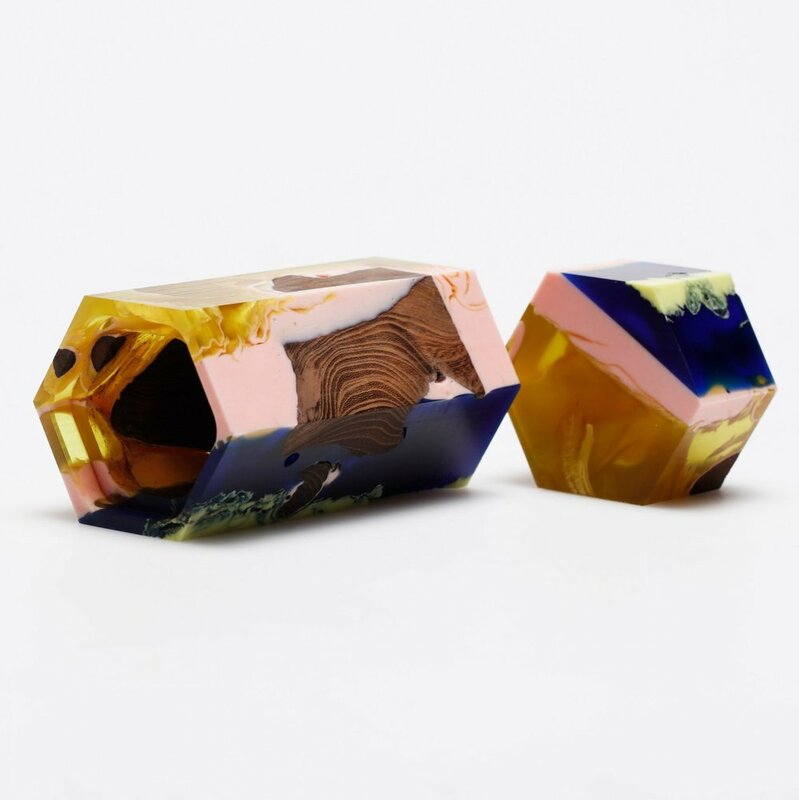 The containers by Jie Wu will be showcased alongside the work of emerging designers at the Decorex trade show during London Design Festival.